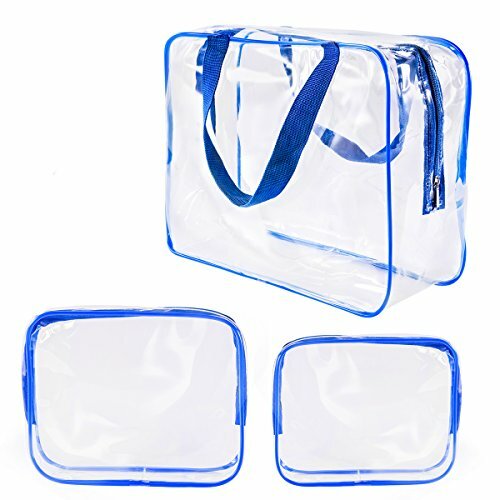 Improved 0.3mm thickened Eco-Friendly transparent PVC material, softer and more pliable, durable and reusable. Sturdy quality zipper and double stitching throughout allow you to really load these up with carry handles. Everything is organized and clear at a glance. Maximize luggage space and reduce mess. Protect your items from moisture or sand, or separate "wet or soiled" in your tote bag. Easy to clean. 3 Large and small sizes to conveniently carry cosmetics, toiletries, shaving kit, baby items, stationeries, electronic devices, etc. If you have any questions about this product by Roybens, contact us by completing and submitting the form below. If you are looking for a specif part number, please include it with your message.